Most restaurants, cafes and even pubs/bars nowadays offer a choice of coffee (cappuccino, espresso, Americano, etc.). Many will also offer a variety of teas including herbal teas. In restaurants you will have a choice of fillet or sirloin steak and some restaurants also offer T bone steak. They are usually sold by weight ie 8oz/12oz/14oz. Instead of saying you like your steak rare/medium/well done or whatever, we would suggest you indicate to the waiter how you like the steak inside ~ (ie pink) which ensures you get the steak cooked exactly how you like it. Remember that in Ireland 'milk' is what is added to tea or coffee. Cream is what we put on desserts or possibly in a coffee if desired. If you order cream with your dessert you will be given plain cream as we do not add sugar to the cream. If you order water you will be offered sparkling or still. This automatically implies you will be served bottled water. You are perfectly entitled to opt for simple (and free) tap water. Our tap water is good and totally safe to drink. You water will normally be served with ice and perhaps a slice of lemon. Most restaurants (and some cafes) offer a good selection of wines (New World, French, Californian, German, Italian etc.). Wine is served by the bottle or by the glass and sometimes by the snipe (a small bottle which holds approximately one and a half glasses of wine) and in some places you will have a choice of half bottles. Check the prices as sometimes it is less expensive to share a bottle than buy by the glass. In good restaurants, irrelevant of the price structure, the house wine should represent the standards of the restaurant. No restauranteur worth his or her salt is going to serve an unpleasant wine as their house wine. If you are unsure about which wine to order just ask for guidance from your waiter. Champagne can be outrageously expensive in restaurants and hotels so check the price well before ordering. NOTE: Remember that the drink driving limit in Ireland is scarcely more than a small glass of wine so don't take any risks. Most restaurants have a licence to serve alcohol with meals and offer a choice of spirits, liqueuers, bottled beers and in some places draught beer and larger. Many restaurants offer an 'Early Bird' menu which is generally a version of their dinner menu, at a reduced price to encourage early diners. The most popular time to make a reservation in restaurants in Ireland is 8-8.30 pm so the 'Early Bird' menu usually runs from around 5.30/6-7/7.30pm. All restaurants must by law display their menus for viewing from outside the restaurant and so you can easily check prices/offers prior to entering. It is worth noting too that local newspapers sometimes include ads from restaurants offering discounts so you could check these out when in the area. Many hotels, bars and restaurants offer good value Sunday Lunch menus which generally run from around noon to 3 or 4pm. Eating out on a Sunday is very popular in Ireland and many places will be extremely busy during Sunday lunchtime so if you are going to eat out then it is best to arrive early or book in advance if bookings are taken. Smoking is banned in ALL public places in Ireland. There are heavy fines payable by the publican, restauranteur or whatever who allows it and as a result it would be almost impossible to find anyone smoking in these places. However many restaurants and pubs/bars have built outside smoking areas to accommodate guests who wish to smoke. There are stict laws in place too for the design of these places in that they must have two or three sides open to the outside air, ie no windows. The anti-smoking laws in Ireland are so stringent that a homeowner cannot smoke whilst a tradesman or worker is in their home. However, it is legal to smoke in hotel bedrooms WHERE the hotel has allocated smoking bedrooms. Cigarettes are still available and are sold in shops, bars, hotels, etc. from vending machines. It should be noted that the signs on washroom doors may be in Irish and this can lead to confusion. The Irish for men is fir so you will see FIR on the gentlemans washrooms. The Irish for women is mna so you will see MNA on the ladies washrooms. 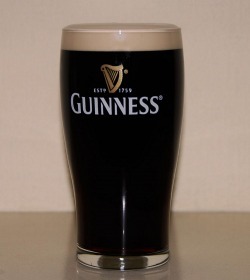 Pubs and bars in Ireland offer a vast range of alcoholic drinks including beers, spirits, wines, alcopops, and so on. Beers and lagers are available by the bottle and on tap. Even though Ireland is metric beers and lagers are still sold by the pint or half pint. There is always a good selection of soft drinks too and many offer coffee too. The prices of drinks MUST by law be displayed. As with restaurants and cafes (and indeed all public place) smoking in Ireland is totally banned but as above, many premises have arranged smoking areas outside for smokers. Many pubs and bars now offer food. The pub grub menu will usually be a more casual form of dining than in a restaurant and mostly offer less expensive menus. Food on offer is generally burgers, steaks, salads, sandwiches, stir fries, desserts and so on. The menus are usually left on the table but some may just be on a chalkboard on the wall displaying what is available and the prices. Children (under 18) are not allowed in pubs/bars or hotel bars after 9pm and it is illegal to sell alcohol to anyone under 18. Over 18s may be asked for proof of age and acceptable proof is either a passport or driving licence. Sometimes ID cards are accepted but not always. Drinking up time applies for 30 minutes after normal closing hours. Off sales must cease at 10.00pm every day and cannot commence before 10.30am (12.30pm on Sunday)"
In earlier years people here were not in the habit of leaving tips in pubs/bars but would often offer to buy a drink for the barman or woman. However now it is becoming more prevelant to leave a monetory tip. So while it is not mandatory to leave a tip, if you are in a pub/bar and have received good service then you may give a tip or offer to buy the server a drink ~ this does not mean the server will actually drink the drink there and then but rather take the price of a drink which will be kept to collect as a tip or as an after work drink. 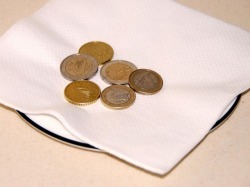 It is now usual to leave a few coins of small change in cafes which do table service if you have had good service. In self service establishments tips are usually not given though there may be a dish beside the till in which to deposit any small change should you so wish. Generally nowadays one leaves around 10-15% of the total cost of the bill as a tip PROVIDING you have received good service. If you come across stroppy or sullen service you should NEVER leave a tip anywhere. Prior to leaving a tip in a restaurant make sure that the restaurant hasn't charged you a service charge on your bill. Places who do charge this ridiculous charge generally have it noted on the menu but certainly on the bill. One other thing about tips, we would recommend that you give the tip ~ in cash ~ directly to the person from who you had the good service. This ensures that the person who served you actually gets the tip and it is then a matter for them whether it goes into a kitty to share with co-workers or they keep it themselves. Please don't just add it to the bill to leave at the till as some unscrupulous owners may not give the tips to their staff instead viewing it as help to pay the wages or whatever. In some hotels, nightclubs, restaurants and even in one of the grander stores in Ireland there are washroom attendants and if so it is customary to leave some small change on the top or sink stand after freshening up. If you are unsure just see what others do. If you wish to offer a tip do but it is not compulsory. Generally 1 euro is enough but if your taxi driver has been ultra helpful, say with suitcases, and chat and information then a little more is good. In hotels if a porter has helped carry your lugage to your room then a tip of a euro or two. If you have room service then it is customary to give the person delivering it a euro or two. It is not necessary and probably mostly not expected to leave a tip with the owner (if there are servers in the dining room then you may leave them a tip). However if the owner has made you very welcome and gave you a great stay then maybe a small box of chocolates or flowers would be in order ~ as we said, not expected but still a nice gesture. Finally, another good way to thank a place for good service, food or rooms is to give a favourable review on one of the many internet tourist sites.